Well casing performs the function of sheeting of well walls ensuring their stability in the course of both well penetration time and its operation. In the majority of cases, after having installed the drainage well and equipped it with a filtering column and a filter, the casing pipes are withdrawn in full or in part. 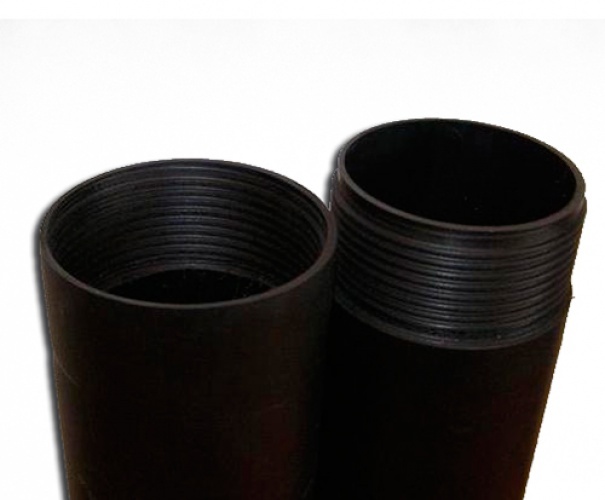 Application of polyethylene casing pipes is the most practical and cost-efficient as compared to pipes made from other materials. Such pipeline service life comes to 50 years.